Not only sweet and delicious flavors are offered by the honey for you. Honey can beautify your skin, either through direct or eaten by using beauty products made from honey. In addition to containing water and natural sugar, honey also contains nutrients for the skin, including vitamins, minerals, and amino acids. Honey also offers powerful antioxidants, including caffeic acid and catechin that keep the body and skin from oxidative and environmental damage. To get this benefit, you can eat pure honey directly or by mencamourkannya on food or drink. Honey is naturally able to attract moisture from the air into the skin and keep the skin from drying. Beauty products that contain honey is usually the first choice for all skin types, especially those with oily skin to prevent skin moist and healthy. When honey is diluted, natural components will react and form hydrogen peroxide. This compound acts as an antiseptic to enhance your skin's immunity and ward off bacteria that can cause acne. Honey also has anti-inflammatory and antibacterial properties that can help acne scars and help your skin heal faster from injury. Choose beauty products that offer the benefits of honey in it. You may have heard of probiotics, which are healthy bacteria found in yogurt and so on. Probiotics are beneficial the next big thing in skin care. If you eat honey, you will get a special complex carbohydrate intake to maintain a healthy growth of probiotic bacteria in the digestive system. Honey will also help restore the balance of good probiotic bacteria on the skin if you use honey-based beauty products on your skin. Good bacteria on the skin will develop into bad bacteria because of the influence of environmental stress and clogged pores. Clogged pores will hinder the circulation of oxygen, encouraging the growth of bad bacteria and causes acne. 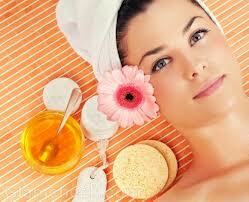 Honey will thwart the bad bacteria and balance the amount of probiotic bacteria so that the skin looks healthy glow. Your blog is different from other blog and provide interesting post thanks for sharing. . .